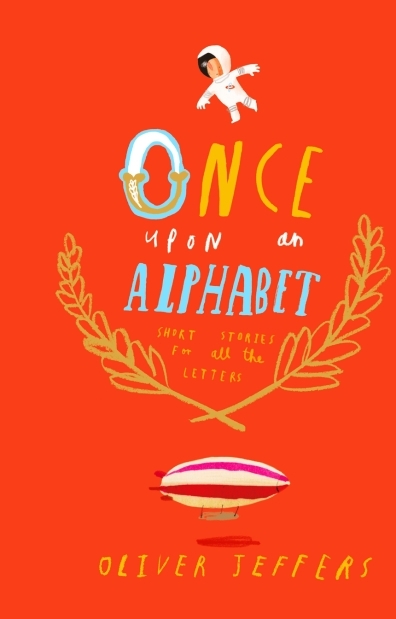 Picture book author Oliver Jeffers is telling stories of the alphabet in his latest book, Once Upon an Alphabet: Short Stories for All the Letters. He's already told the stories of crayons (The Day the Crayons Quit), moose, and stars. In his latest book, he's taking teaching the alphabet beyond "C is for Cat." Alphabet books are a staple of children's literature. We're all familiar with the basic "A is for apple, B is for bear" approach but some of us, myself included, revel in alphabet books that set themselves apart from the norm - that assign X to more than the usual xylophone image and Z to something other than zebra.